For those amateur radio enthusiasts, I’ve created a Windows app for those especially active with satellite work. 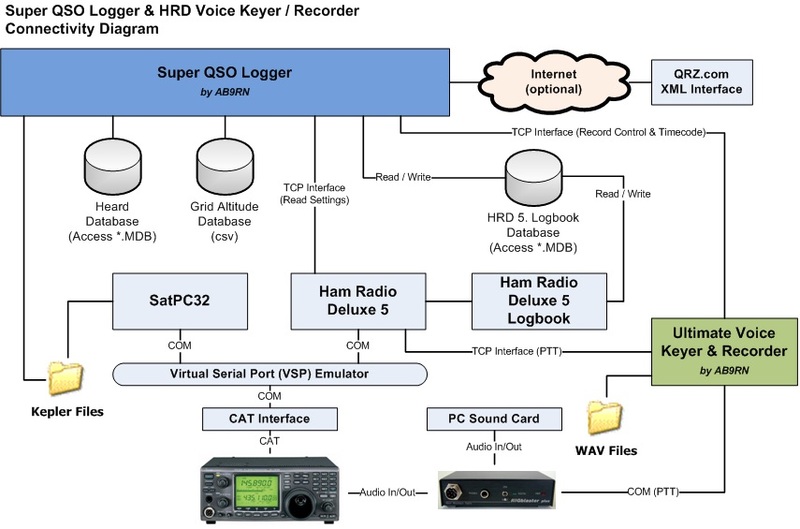 It’s called Super QSO Logger and is intended to be a companion app with Ham Radio Deluxe 5 Logbook. It gathers a lot of useful information when working satellites for the various call signs you hear and may want to work. When you’re done, you can click one button and have all the worked contacts added to your HRD 5 Logbook. Some of the nice features are the call sign and grid cross-checks to see if either are new for you. Also there are satellite features that show each contact’s situation relative to the same satellite you’re trying to work them on. This works especially well with the FM mode on busy passes where you hear many more contacts then you can usually confirm. By logging each that you hear, you can better manage the limited time you have with the satellite pass, and you can maximize the number of contacts logged. 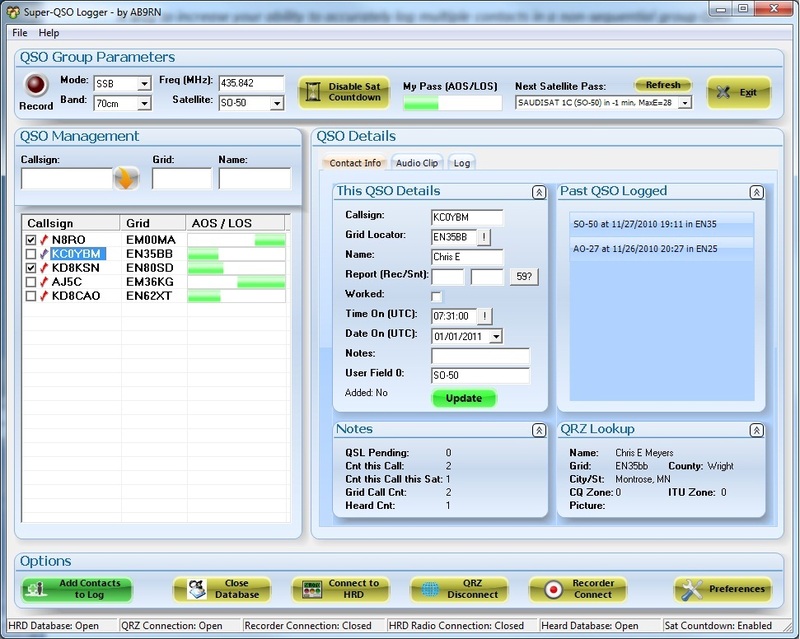 Super QSO Logger works with many existing software programs and hardware you may already have in place and enhances the use of it. Both HRD 5, SatPC32 and Super QSO Logger can work together to leverage the best each has to offer. Below is a diagram showing how this can work. Also, there are features to interface with another app I’m getting ready to release that can record the audio along with timestamps when each QSO contact occurs to help confirm later.